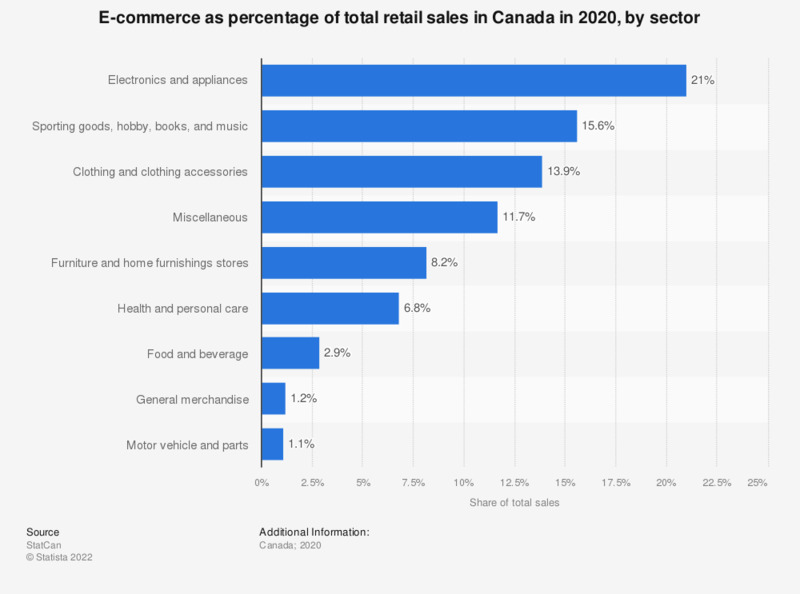 This statistic shows the e-commerce retail trade sales share as a percentage of total retail trade in Canada in 2016. In 2016, electronics and appliance stores e-commerce sales accounted for 4.6 percent of total electronics and appliance store retail sales in Canada. Food and beverage stores, health and personal care stores, and gasoline station e-commerce sales not reported separately as the data was suppressed to meet the confidentiality requirements of the Statistics Act. As a decision-maker, how good or bad is your impression of Norwegian retail trade regarding the following?